Situation: In the fourth quarter, down by 10 points or more, facing a 4th and long on the opponents 40 yard line. You need points, and punting won’t gain much in the way of field position. A field goal would be 58 yards, but the chances of converting on 4th and long are slim. The Play: Line up as if kicking a very long field goal. When the kick holder receives the ball, he picks it up and runs up the right sideline as the offensive line shifts in that direction, bringing the kick defense with it. Upon reaching the line of scrimmage, the kick holder laterals the ball across the field to a second kick holder, where a repositioned kicker is waiting to kick a much more manageable 50 yard field goal. Situation: Any New York Jets game. The Play: Tom Brady purposefully moves up in the pocket, running into Logan Mankins. As he falls down, he bounces the ball off the wide posterior of the lineman. It looks like a fumble, but is actually a bounce pass to Stevan Ridley, who has had Velcro gloves surgically attached to his hands, for a loss of 2 yards. 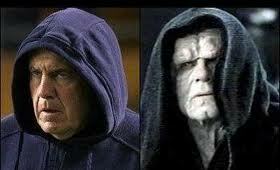 Belichick glowers at the Jets sideline, and mouths what appears to be “I’m still watching you”. He hasn’t forgotten SpyGate. In the offseason he signs the Sanchize to be a kick holder, then trades him in training camp to the University of Saskatchewan for some ill-sized CFL regulation footballs and a U of S hooded sweatshirt, which is known as a “bunny-hug” for reasons unkown. Situation: Less than 5-yards from the opposition goal line. The Play: Rather than trot out the familiar complement of backs, receivers, and ends, line up 10 offensive linemen in front of Tom Brady. Pass the referee a list of the eligible receivers written in a long-forgotten Babylonian script, with a code cypher in the bottom of an unopened box of Flutie Flakes. After the ball his hiked, five linemen cover the pass rush while the other five run crossing routes into the end zone. But which five? The Play: When handing the ball off to Shane Vereen, Tom Brady has what is known as a “wardrobe malfunction”, revealing what Gisele knows, and we all suspected: Tom Brady has football-sized balls. The defence is thus forced to cover two routes and three balls. And yes, Brady can throw them. Situation: Overtime, Pats win the coin toss. 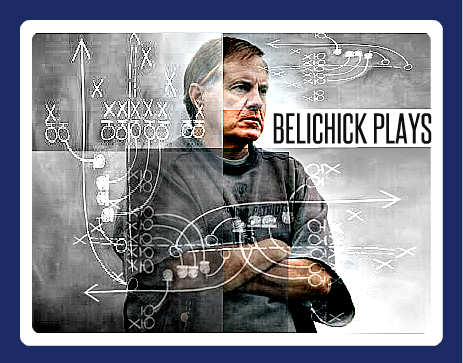 The Play: Rather than outsmart everyone by choosing the wind, Belichick finally reveals what we already knew: he’s a Jedi. The Pats choose to receive the ball, then Belichick uses his Jedi powers to convince the other team, and the officials, that the side they chose is not actually the side they chose. Their opponent subsequently kicks the ball towards their own end zone, where the Patriots kick returner catches it, turns around and trots in to the end zone. Mysteriously, all footage of this is lost, except for Tom Brady screaming into the wind, “You are not my father” with Knowshon-size tears in his eyes. The Rebellion is defeated, and the Patriots never lose again.